PT. 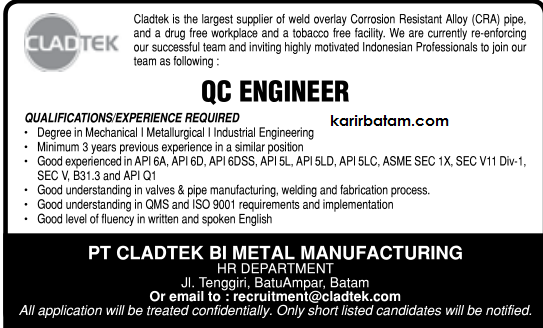 Cladtek BI Metal Manufacturing is the largest supplier of weld overlay corrosion resisstant aloy (CRA) pipe, and a drug free workplace and a tobacco free facility. 0 Komentar untuk "Lowongan Kerja PT. 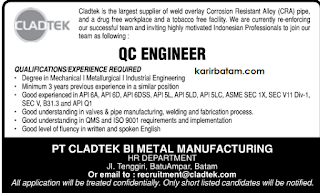 Cladtek BI Metal Manufacturing"